Can you realistically expect to work for yourself if your employment permissions have been granted under IANG? 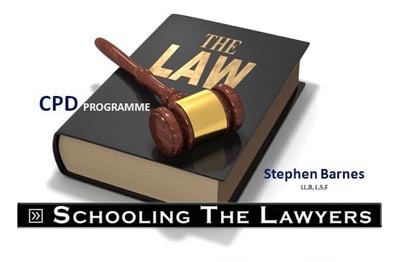 Hi Stephen, thanks a lot for answering the questions on this website. I must say that all the information on visageeza.com is of immense value. I would like to pose a question regarding the Immigration Arrangement for Non-local Graduates (“IANG”) visa renewal. Currently I am on an IANG visa which has been sponsored by my current employer. I would like to know that shortly after the IANG visa has been granted (say few days or weeks after the approval), can I change my job or leave my job for whatever reason and start my own freelance consulting? Is it really something permissible in the eyes of the immigration? My second question is linked with my first one. Let’s say if I leave my job and after leaving my job I cross the seven year mark, what impact would this have on my Right of Abode application? I would really appreciate your help on this matter. To maintain your immigration status under the Immigration arrangements for non-local graduates, each time you present yourself for an extension of stay you need to have a valid employer, and you need to be able to demonstrate to the Immigration Department that you’re being paid a compensation that’s broadly commensurate with market rates and that you are engaged in work that related in some way to your education and background and moreover the sponsoring employer needs to be suitable and credible all things considered. So, you can essentially get yourself an extension on the immigration arrangements for non-local graduate’s sponsored by a current employer, and then you could seize working for that current employer and then conceptually you could start to engage in your own freelance activities. Whether or not the Immigration Department would deem your freelance activities to be sufficiently suitable at the time that your next IANG application came up for consideration is another matter again because Immigration Department in those circumstances expect you to have established a sizable business, which for all practical purposes means you need to pass the approvability test to show that you can make a substantial contribution to the economy of Hong Kong, and in that regard I would suggest that you read the information on our websites about the business investment visa, because it’s no small challenge to be able to secure an ongoing sponsorship in Hong Kong on the basis of your own in a sense freelance activities. So that answers the 1st part of your question and in so far as the 2nd part of your question goes, let’s set the scene for example, let’s say that you’ve been here under continuous residence visa permissions for 6 and a half years, and that your current IANG visa has just recently been extended and you’ve secured a one year limit of Stay, which is then going to take you conceptually to a full 7 and a half years’ worth of continuous ordinary residence in Hong Kong holding back to back residence visas throughout all of this time. So, at the point of 7 years of course you can make your application for the right of abode, and at that point you have to show that you have been continuously and ordinarily resident in Hong Kong for those 7 years. There is no inquiry as to what you’re doing in relation to your existing employment. The Immigration Department would want to see that you do have a valid period of stay under employment status and they will typically not look for confirmation as to how you’re gainfully spending your time under your 12 months of immigration arrangement for non-local graduates. 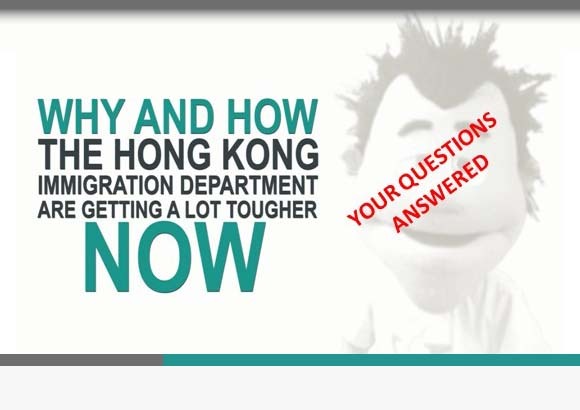 Therefore conceptually, it might be that you can get to 7 years by having extended your immigration arrangements for non-local graduates visa, and then gone off from freelance a few months before making the right of abode application, because at the time that you get your right to abode application approved, all conditions are lifted as to your continuing residence in Hong Kong, you would then typically not be called to account for any time that you spent under immigration arrangements for local graduates while you were freelancing as such. So, that’s the, that’s the upshot of it and I hope you found it useful.